Content marketers and bloggers are constantly creating and sharing visual assets with their copy. Images have become an important asset for search engines and social networks. Users not only search with keywords, they also browse images to find what they need. Pinterest and Facebook are showing high traffic over images and the interaction of users with them increases constantly. Statistics show that publishers and content creators are prioritizing the creation of visual content. Some stats of the content marketing institute support this. For this tasks, several tools are available that allow marketers and bloggers without formal graphic designs skills, and without big budget to be able to delegate, to create amazing graphics. In this article we are listing 4 easy tools that have a proven record in the industry and are available online. Our first choice of tools are the presentation tools, not only because of their versatility and installed base, but also because almost everyone with a computer has faced at once the task of creating a presentation and how easy is to create graphics and texts. Also, there is a complete social network (SlideShare.net) dedicated to share presentations. The second group of applications are the new online design tools created specifically for online marketers, finally we present a great tool for infographics,which is becoming one of the preferred graphic asset within marketers for presenting quantifiable information. Native graphics engine (vectorial) with layering. Use of any font supported by the OS. Exportable to every known format. Free PowerPoint Templates (fppt.com): Huge free gallery of PowerPoint templates. Find your graphic easily and with good quality. SlideModel (slidemodel.com): Professionally designed powerpoint templates ranging from business designs, to icons, shapes, infographics, maps, etc. High quality with a modern design and look and feel. Tutorials and free templates are also available. SlideHunter (slidehunter.com): Free Gallery of templates focused on diagrams and business presentations. Indezine (indezine.com): Number one site of powerpoint news and tutorials. Every question can be answered through their content. 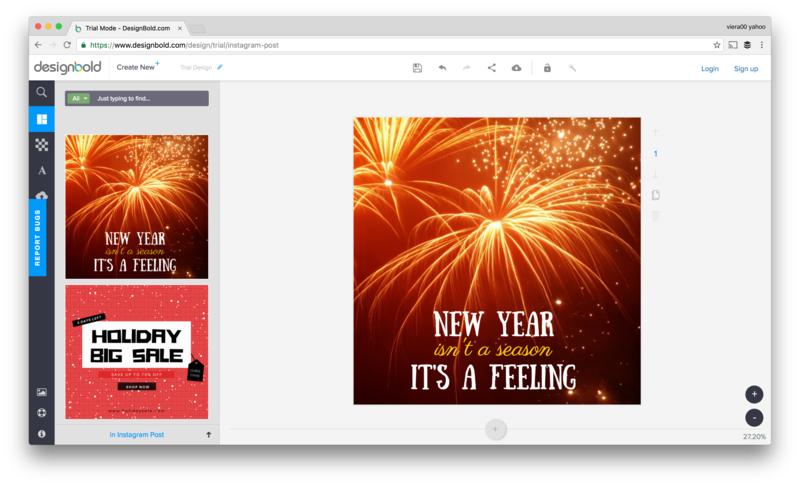 Google Slides is Google’s Drive copy cat for PowerPoint. It is SaaS by nature and some of its original features are stronger than other presentations software with more time in the market. 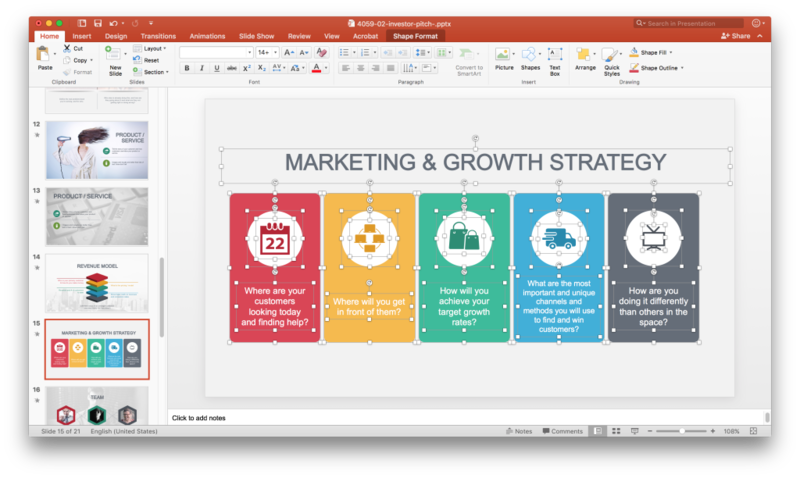 Like PowerPoint, Google slides design process is slide by slide. The improvements over the interface have been fascinating in the last years, and it can be said that professional designs can be created with this tools. Online collaboration (the best tool ever for online collaboration). 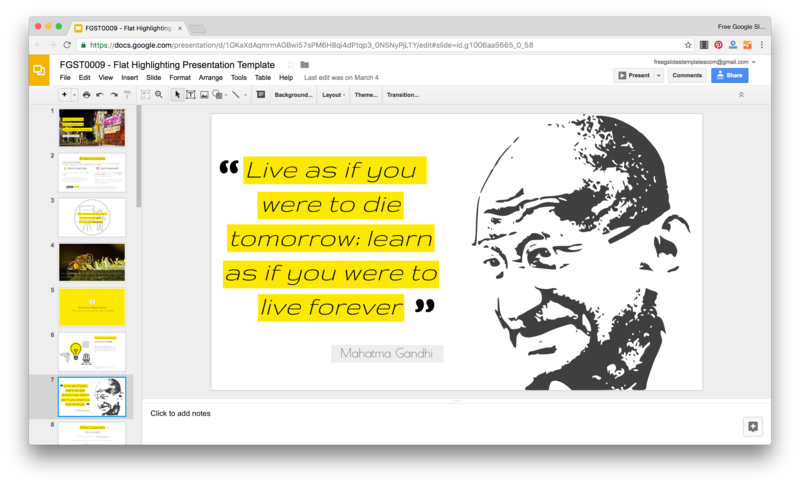 You can select a couple of popular sources of Google slides templates. Slides Carnival (slidescarnival.com): A popular site with editables google slides for educational audiences. You can find cool designs for your presentation and banners. Free Google Slides Templates (freegoogleslidestemplates.com) : A great gallery of professional google slides. The main differentiator is that its designs are targeted to different audiences. Great inspiration for banners and slideshares. So in terms of functionality, it does not seem extremely powerful, so why is so popular ? Simple, it provides built-in templates extremely targeted to marketers and the interface is super simple to follow. 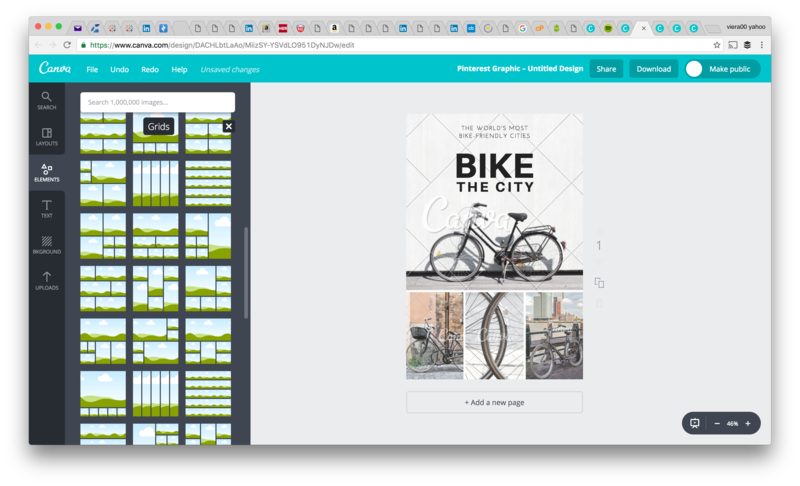 Every user, can create a good visual asset in few clicks, without leaving the platform (as we saw before, other software packages require external assets to really be accessible for the regular user). 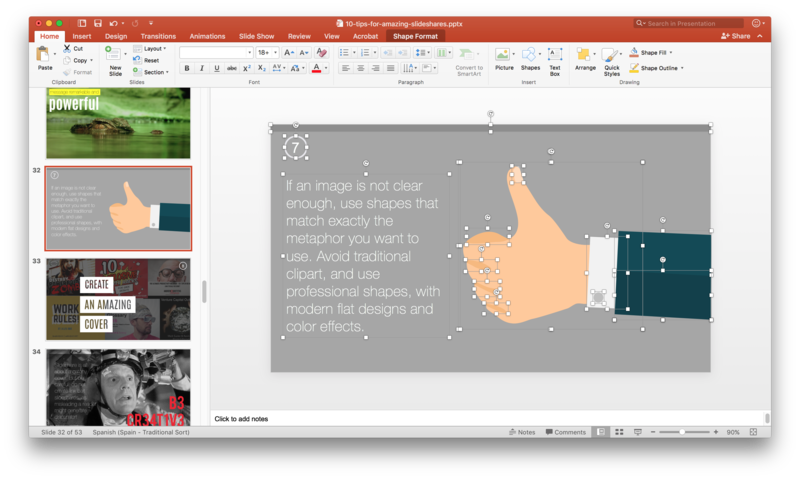 Presentations: You can create slide like creations , the same way you can do with powerpoint and google slides. Documents: Format of Templates for brochures and marketing materials. Blogging and Ebooks: Templates for custom made ebooks and blogging images. Marketing Materials: Several Templates for marketing visuals. 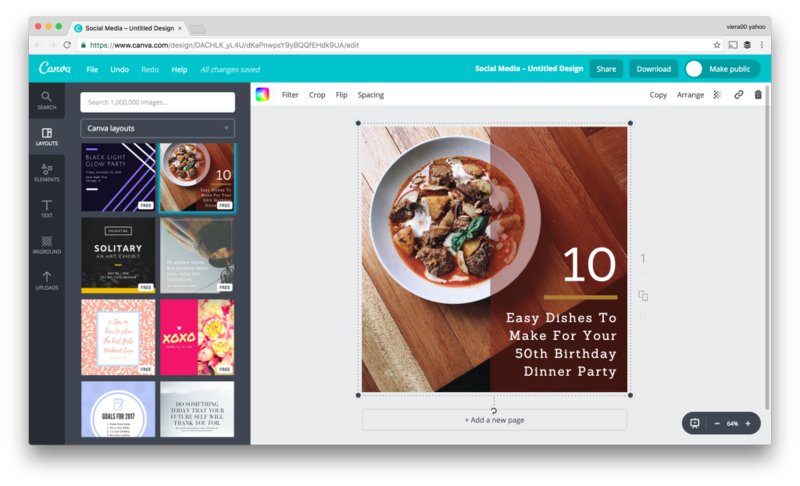 Canva provides a free account with several features that are worth to try. A professional look and feel can be achieved with little effort and some ideas from the built-in examples.